Almasdar News is reporting that an Israeli air raid has hit Damascus International Airport – this story is developing. 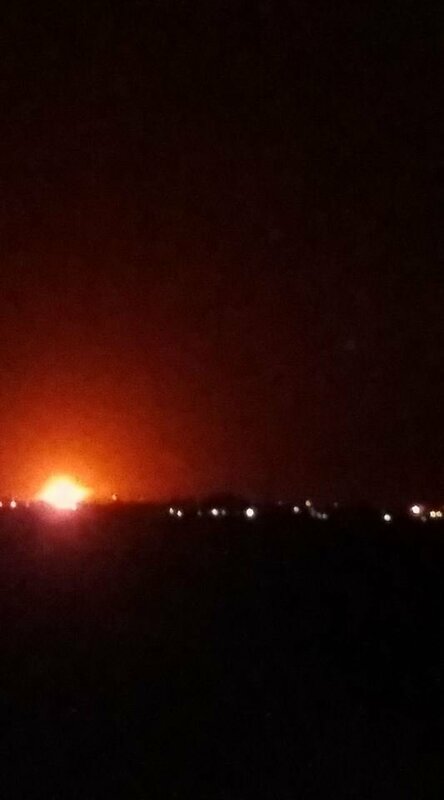 BEIRUT, LEBANON (5:35 A.M.) – Preliminary reports have emerged that an Israeli air raid has targeted Damascus International Airport or its perimeters. This cannot be independently verified by Al-Masdar News at this moment however. Photos have emerged of burning fuel or gas at the international airport. The reports say that there were five airstrikes against the airport or its vicinity. It has not been revealed yet the nature of the damage to the airport, but the strikes occurred at around 03:25 A.M. local time. The Damascus International Airport is still used for civilian flights, including routes to Qamishli in Syria’s northeast, Tehran in Iran and Dubai in the United Arab Emirates.